Heather and Stuart had a list of requirements for their dream wedding venue. They wanted a unique venue with the ‘Wow factor’, disabled access, separate spaces for the dinner, drinks receptions and outdoor photos. After visiting the College for a viewing, they were immediately convinced that they had found the perfect place. In March 2017, their special day arrived. Joined by 84 guests, the couple held their reception in the Cullen Suite and their wedding breakfast in the Great Hall. 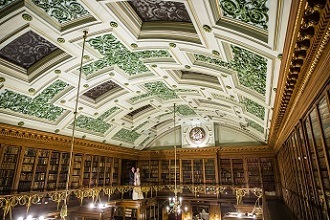 In the evening, a further 56 guests joined for the evening reception in the Great Hall and a bar and evening buffet in the New Library. The couple and their guests were treated to a night of music by The Apollos. Over the day, Saltire Hospitality provided first class catering. The happy couple could not have been more delighted. 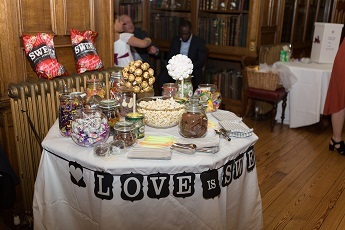 They were well catered for by our professional staff who went the extra mile to make sure their day was truly special. 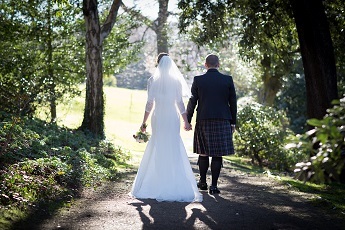 Their beautiful photographs were taken by Stuart Craig Photography. 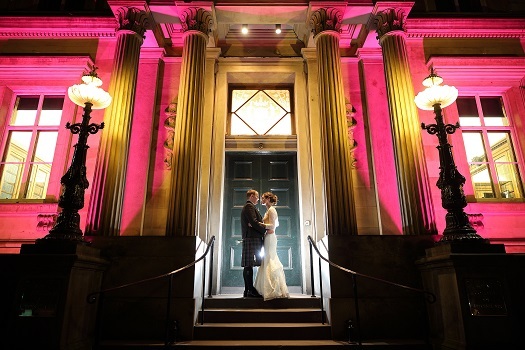 A real hidden gem of Edinburgh wedding venues. If you want a venue with the wow-factor, this is it!